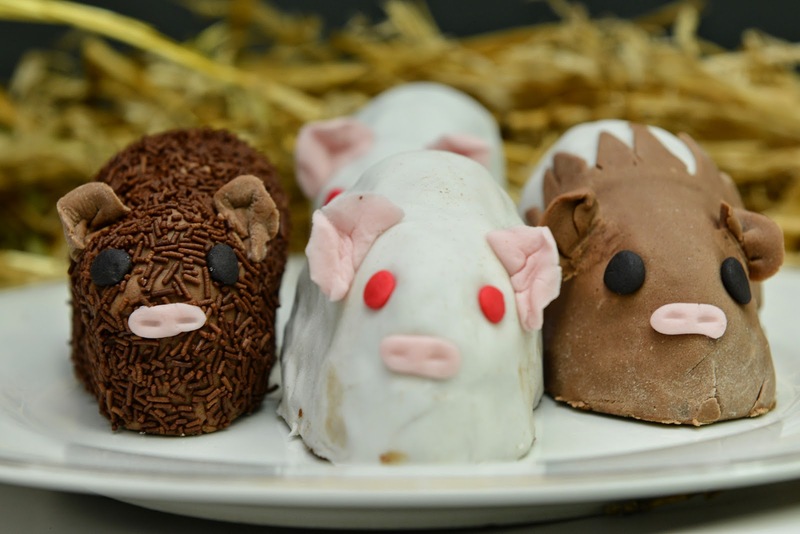 Cavy Cakes by Karen. The hay isn't edible, but these guinea pigs definitely are. Yesterday I had just finished a guinea pig consult and walked into the treatment room to type up my notes when I was confronted by a herd of cavy cakes!!! 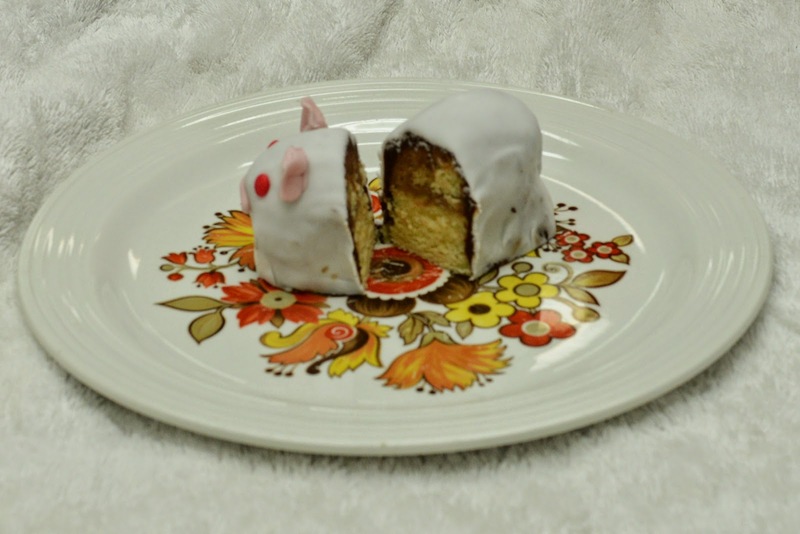 The owner of Louie, a guinea pig we are treating for pododermatitis, just happens to be a genius in the kitchen and she constructed these miniature cavy cakes, which deserve to be shared (at least visually) with the world. Karen's muse and companion, Louie. Such a work of art were they, we felt they should not be eaten. However, we were advised that they had a jaffa-flavoured centre that had to be experienced. So we did some cavy-cake surgery and down the hatch they went. 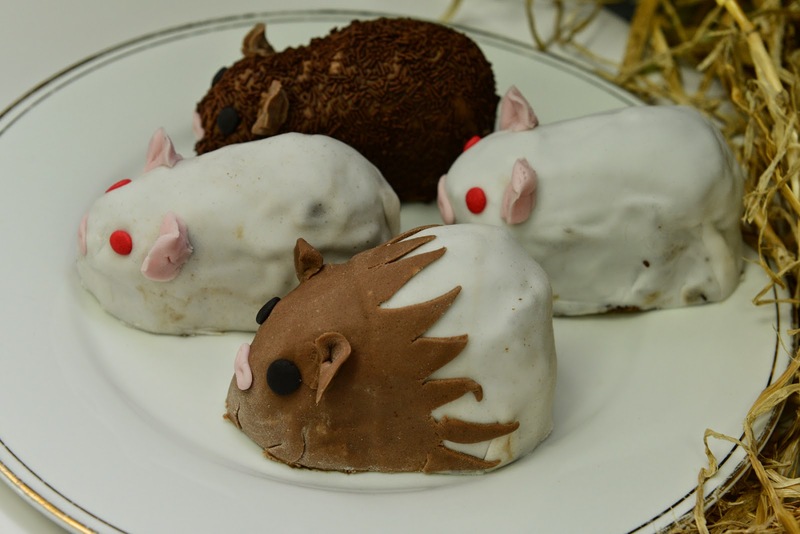 The cavy cake in the foreground is modelled on Louie and the others are modelled on his housemates. Definitely the culinary highlight of the week. Surgical approach to a cavy cake (as as a pathologist might say: "Figure C reveals the cut surface of the lesion..." [NB just in case anyone was unsure, these cakes are designed for human consumption. 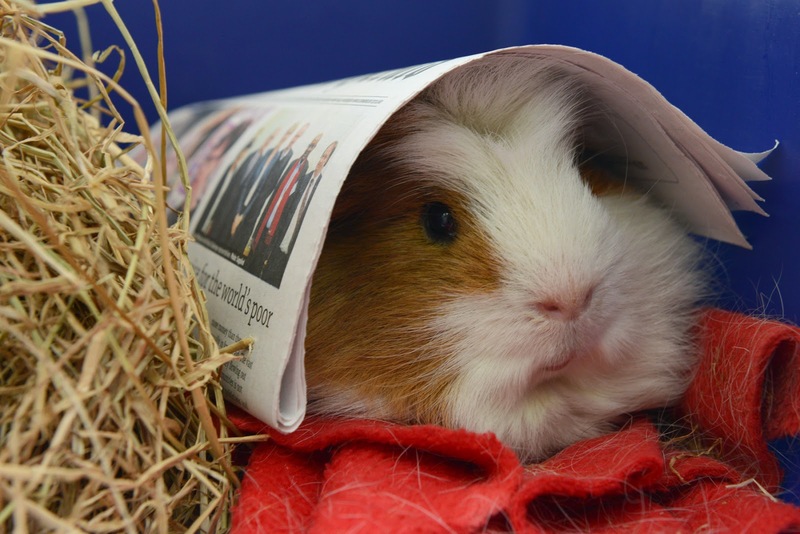 Guinea pigs should NOT be feed cakes, chocolate, icing etc etc. - stick to hay, grass, vegies and herbs for your cavy colleagues]. 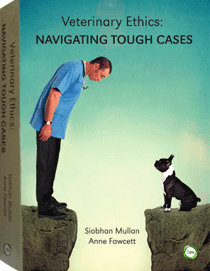 Meantime the Huffington Post discusses the implications of animals being treated as the victims of crime in court. You can read more here (thanks for the link, Mick). "The kitten freaks out about being put in the cat carrier," Swift, 24, tells Access Hollywood. "So I was like, 'OK, alright, we're just going to do this!' It was like a 10-foot walk from my door to the car." The key phrase here is “freaks out”. Cats do tend to be highly strung and DO tend to freak out when they are surprised, hear unfamiliar noises, see an unfamiliar environment etc. Vets aren’t being kill-joys when we insist that people transport cats in carriers. Anyone who has been a vet for more than five minutes has seen carrier-less public cat carrying go wrong. Like, even during a ten foot walk from the waiting room to the consulting room. A startled cat is capable of busting a Cirque du Soleil-esque manoeuvre to escape the grip of the most feline-savvy owner faster than Taylor Swift can open her car door (even if her surname is Swift). So...we're hoping that TS will read our blog and role model responsible cat carrying from now on!